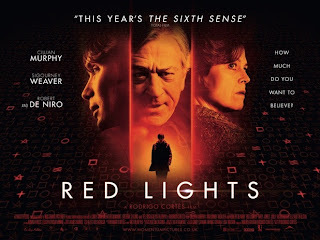 Buried director, Rodrigo Cortes, teams up with Cillian Murphy, Sigourney Weaver and Robert De Niro, for his latest feature, supernatural thriller, Red Lights. Although it is not be about a certain late night district in Amsterdam, it proves to be a fast paced and thoroughly enjoyable genre picture. Red Lights follows psychologist, Margaret Matheson (Weaver) and her assistant, Tom Buckley (Murphy), as they attempt explain supposed supernatural phenomena. They set their sights on renowned psychic, Simon Silver (De Niro), who proves to be a bigger challenge than the pair bargained for. Cortes combines elements of supernatural horror with investigative thriller to create a refreshing antidote to the tedious stream of remakes and vampire horror that has choked the genre in recent years. In a highly original move, the director tackles the world of celebrity mediums and investigates the lengths some sceptics are pushed to in the search for the truth. For the most part the fusion of horror and thriller works well, with Cortes' executing perfect moments of heightened tension throughout, of which one of the highlights include Tom Buckley being terrorized in a sinister midnight visit from Simon Silver. However, like all good horror films, Red Lights does have its' share of obscure, unintentionally hilarious moments including one sequence where an old man growls at Cillian Murphy - intended to scare, most likely, but it comes across as rather suggestive and a little sleazy. It is a sheer joy to see Robert De Niro return to the horror genre, where he brings his trademark intensity to the highly illusive Simon Silver. Red Lights does provoke some questions and as a viewer you are likely to find yourself questioning Silvers' abilities, trying to unwrap this enigma. De Niro's costar, Sigourney Weaver, makes a strong impression as the icey Margaret, the skeptic questioning her supposedly solid beliefs. Unfortunately, Weaver does not receive the screen time the character deserves, due to some questionable plot decisions. Fortunately, a solid performance from Cillian Murphy, continues to keep proceedings stable, even when his character is having his face shoved down a toilet by a scary looking bearded man. Joely Richardson is also on hand for an unexpected, yet very welcome supporting turn. 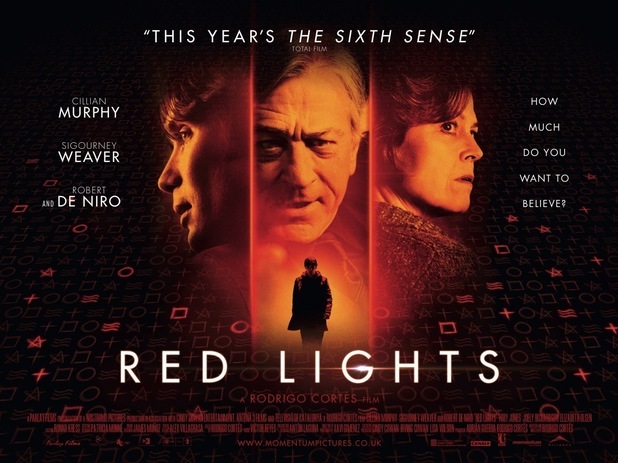 As Red Lights reaches its conclusion, the focus of the film feels somewhat lost, leaving us with a manic conclusion featuring a rather unsatisfying twist. Whilst this ending may be visually spectacular, it is feels as if Cortes' has gone off track, diminishing the tension and mystery that was so carefully built up prior to this. 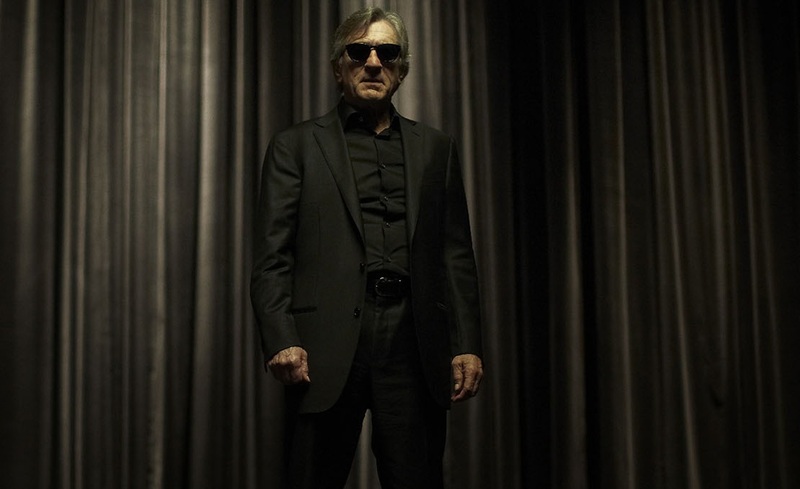 Rodrigo Cortes has presented us with a thoroughly enjoyable supernatural thriller - delivering moments of precise tension, unexpected chills and captivating performances, most notably De Niro's enigmatic turn as Silver. Despite its' unexpected, slightly manic conclusion, Red Lights is gratifying enough to recommend or watch again.